There is a great debate taking place right now in America. Public health advocates are calling on soda makers to stop targeting our children and to stop targeting minorities. They are calling on celebrities to stop selling out to the industry and using their fame to peddle an unhealthy habit to their fans -- and the legions of young people who follow and mimic their every move. I believe we are nearing a tipping point as more and more Americans are fed up, leaving the industry on the defensive and increasingly desperate to preserve market share. Americans, and especially our nation's teens, are smart and quickly learning the health harms of too much sugar -- particularly the overwhelming amount of sugar in one single soda. Soda sales are beginning to fizzle out. U.S. per capita consumption dropped 24 percent between 1998 and 2014 and represents the single largest change in the American diet in the last decade. Recently, Academy Award-winning filmmaker and activist Laurie David posed an open question in the Huffington Post to advocates and the public: How are we going to mobilize bigger, louder voices in the push against Big Soda? I, for one, want to raise my voice with hers -- and others -- and proudly add that the American Heart Association supports advocates across the nation working to turn the tide of the twin epidemics of obesity and diabetes. We share a common goal -- to call out the industry that produces and markets sugar-sweetened beverages. And while there are signs the tide is finally turning in the right direction, we simply cannot afford for our society -- our children -- to continue to guzzle sugar-loaded drinks at the rate they are consuming them when there are healthier, refreshing and thirst-quenching alternatives available. The American Heart Association has a long history of aggressively pursuing changes in public policy while educating consumers about both health harms and health habits. When the scientific evidence became clear that too much added sugar actually hurts your heart, our organization began to take action to turn around consumption trends. Even with the "fizzling out" of soda sales, we remain concerned about the rise in the sales of sports drinks, fruit-flavored "juices" and syrupy coffees and teas. 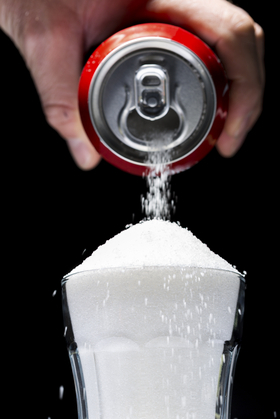 We gathered experts on the subject of sugar and sugary drinks who came to one conclusion. We have a moral imperative to raise even greater awareness of the physical harms of excess sugar and develop public policy solutions that can directly impact consumption -- something the American Heart Association has fully embraced in the work we are doing every day. I am extremely proud of the American Heart Association volunteers and staff who are busy working on the ground, in states and communities across the country, to decrease the consumption of sugary drinks through policy, programs and the education of children and their parents about how to live healthier lives. Unfortunately, the stark reality is that children continue to consume their age in sugary drink servings each and every week. Even among those as young as 2 years of age, fruit-flavored syrups, sodas and sweet tea can be found in sippy cups in too many American households. As one strategy to combat this, the American Heart Association works to ensure all children in child care centers and pre-schools are no longer served these sugary drinks. Our efforts to have kids grow up eating in a healthy way has already enjoyed success by removing sugary drinks from some "kids' meals" at a few of the big-name restaurant chains and we continue to support advocates who are working to expand these efforts. We believe that kids' meals are one of the first entry points for Big Soda to market and influence life-long unhealthy behavior in children -- particularly those in low-income areas with more fast-food restaurants than healthy options -- which must be stopped. Children often first learn about the American Heart Association at school through Jump Rope For Heart. In schools across the country we have children eagerly joining the pledge to not drink sugary drinks as one of "Life's Simple 7" for Kids. While we may never be able to outspend Big Soda and their marketing budgets targeting children, the American Heart Association is proud of our work with thousands of children every year. Helping them live healthier lives is a touchstone for us. We are also educating adults to "rethink their drink" and working in communities and states across the nation to change public policy. The American Heart Association was proud to stand side-by-side with the people of Berkeley, California, as they became the citizens of the first city in our nation to tax sugary drinks at a penny per ounce. We support Illinois, Vermont, California and communities across the country as they push for levies and warning labels to increase awareness of the harms of excess sugar. We are also supporting Mayor Jim Kenney in Philadelphia to pass a 3 cent per ounce tax. While we are facing an uphill battle in countering the millions spent by the beverage industry, our volunteers and staff are in every state capitol doubling-down against Big Soda. And we're getting closer with at least one potential measure of success -- recent polling shows 45 percent of American now support taxes on sugary drinks. We have more to do. And so does industry. 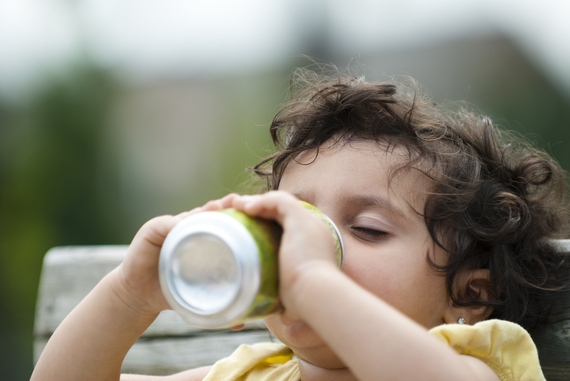 It's time for beverage companies to stop marketing sugar-sweetened drinks to children. We also call on celebrities to treasure their conscience and stop selling out to slick junk food and sugary drink marketing campaigns. The American Heart Association is resolved in this call to action and you will be hearing our voice more often in the days to come. If not us, who? If not now, when?